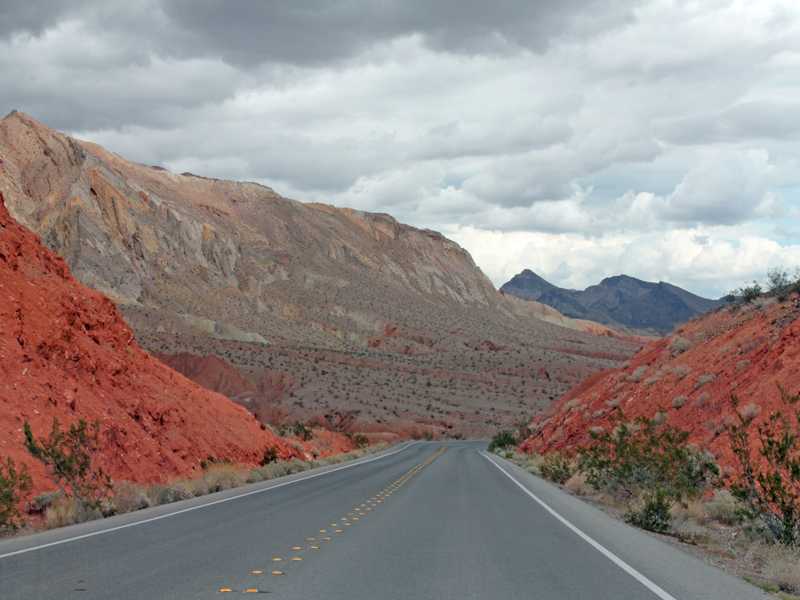 We driven 13 miles loop through Red Rock and enjoyed the peace, the views, and especially getting out of Vegas. This park is only a short drive like 30 minutes from the Vegas Strip. So its hard to miss it. It has lots of hiking trails and picnic areas just a neat place to go to rest and contemplate life. 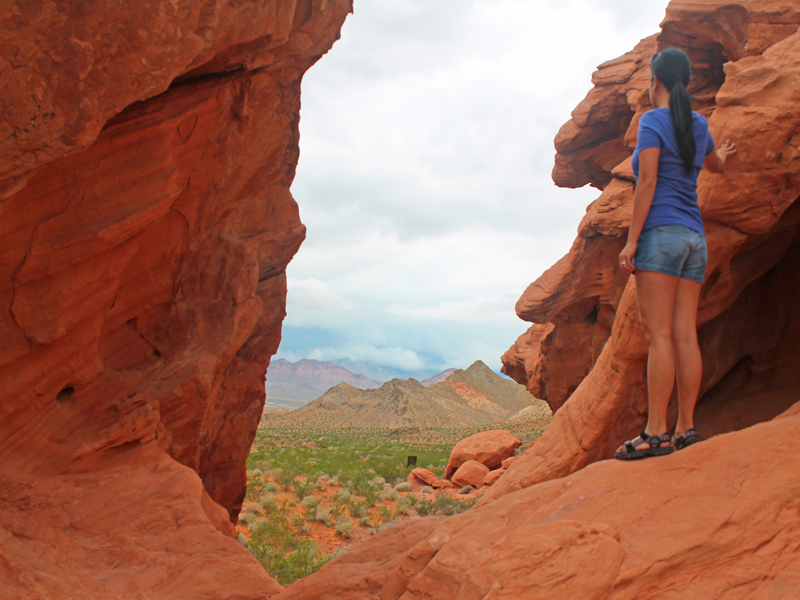 For anyone who appreciates natural beauty and being one with nature, Red Rock Canyon is for you. The park and visitors center is very well done. You can drive through the park and stop at several spots to take pictures and enjoy the views. 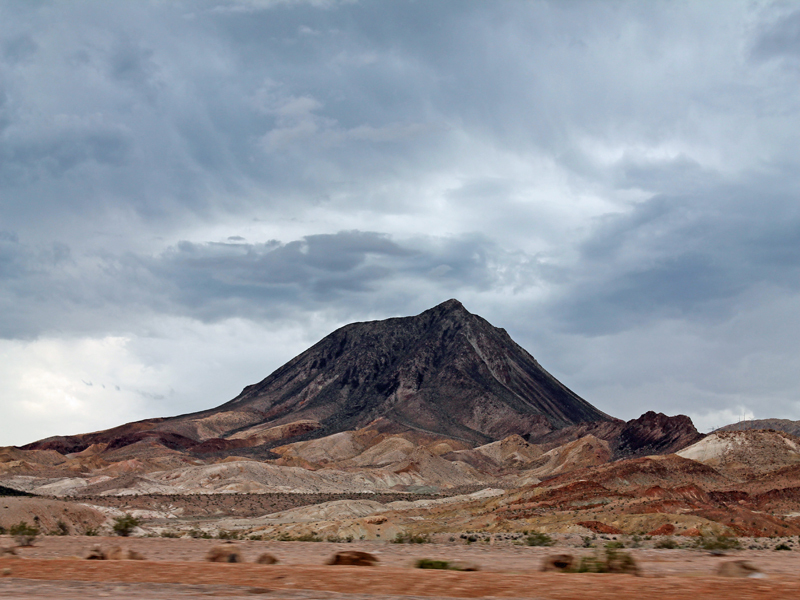 The views change from mile to mile, but the majesty of nature is evident everywhere. We took the 13 miles loop drive with the windows down soaking in the fresh air, disconnecting from the city, and absorbing the beauty of nature.. I thought it would be a nice getaway but was thrown by just how beautiful it is! The views are vast, majestic, desolate and lovely. 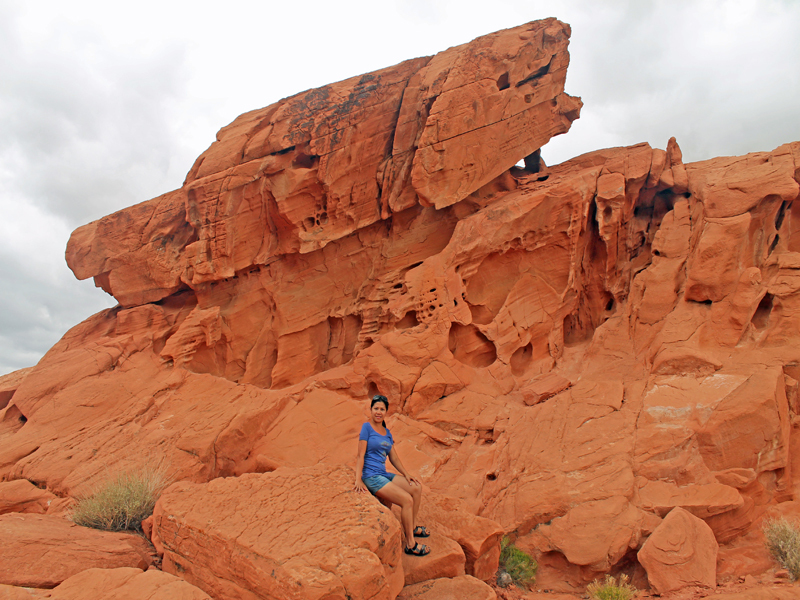 There are a couple stops right at the red rock background that provide an amazing backdrop for photos. Just taking our time checking each area as the landscape changes a few times. Sometimes the rocks are red, some are beige, some are black. But all amazingly beautiful. 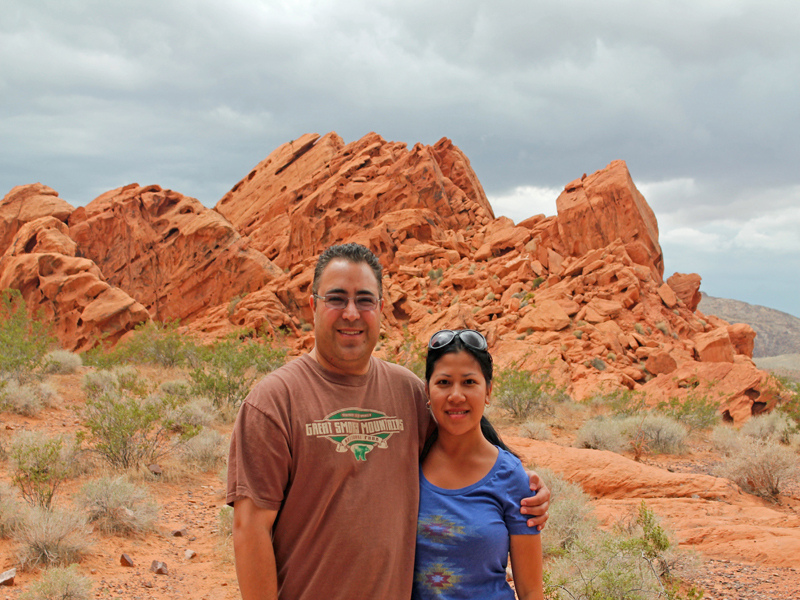 So glad we made the short trip from the Vegas strip to see Red Rock Canyon. My husband and I visited on a weekday afternoon and it was perfect as there weren't too many people around. It was very peaceful. This is the other side of Vegas that everyone should experience in your lifetime. The views are breathtaking and just absolutely beautiful. Some words of advice is to wear the right shoes. We were wearing our hiking sandals and it was perfect for climbing those rocks. Also, make sure you bring plenty of water and some snacks as there are no food vendors here. The park can get really hot and dry, after-all, this is part of the Mojave Desert. This has become one of my favorite places to visit and can't wait til I can come back. thanks for sharing this, the picture look stunning. You're so lucky you've seen this beauty up close. By the way, Girlie! I love your blog new look, very nice! What gave the rocks such color? Tamad mag-research no! Haha. It's funny to know how you figured out the right way after getting lost! But really, I wouldn't mind being lost in a such beautiful view. Happy Sunday, Sis! Oops, it's still Saturday there? Advance na lang! Haha. Beautiful shots,Leah, Ang ganda talaga dyan, thanks for the free tour kahit di ako nakapunta pa at least my idea na ako if ever maka-punta kami. Beautiful photos. Love to visit the place one day. Oh my goodness what an absolutely beautiful looking place to go and visit! You really have some beautiful sites to see over there! Just stunning. The blue top you 're wearing really popped against the rock color! This reminds me of our trip to Grand Canyon. This trip looks amazing. It is so great that in this day of tech and social media there is still a natural unspoiled area of miles as far as you can see with no man made structures. I agree its always good to disconnected to internet world and be more engage by mother nature. That sounds amazing. I have always wanted to go there. I hope to see this in person someday. 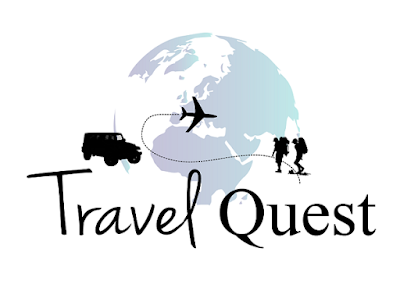 We love exploring new towns and areas. Red Rock looks like a beautiful destination. I would love to visit this spot with my family one day. Your photos are so pretty. The Red Rock is on my bucket list of places to visit. Hopefully, I'll be able to visit there the next time I'm in the area. What a beautiful place. Your pictures really took me there. I hope to visit there myself one day. How gorgeous. It takes my breath away. I love seeing how beautiful our world is. Your photos are gorgeous!! I would love to visit Red Rock Canyon one day!! These are absolutely breath-taking photos! And yes, hiking shoes are a must for an adventure like this! Ohh dear! This is still one of my bucket list. I so envy your trip. I will take note of going on the afternoon so that less visitor and would be a more picture perfect. We came here late afternoon from driving around Vegas it wasn't a part of our plan but I'm glad we stop by here. The weather is a bit overcast but the scenery is still breathtaking. Wow, those are some amazing photos. I wish I were there right now. I will certainly be putting this on my bucket list now. Wow that's such an amazing wonder of nature! 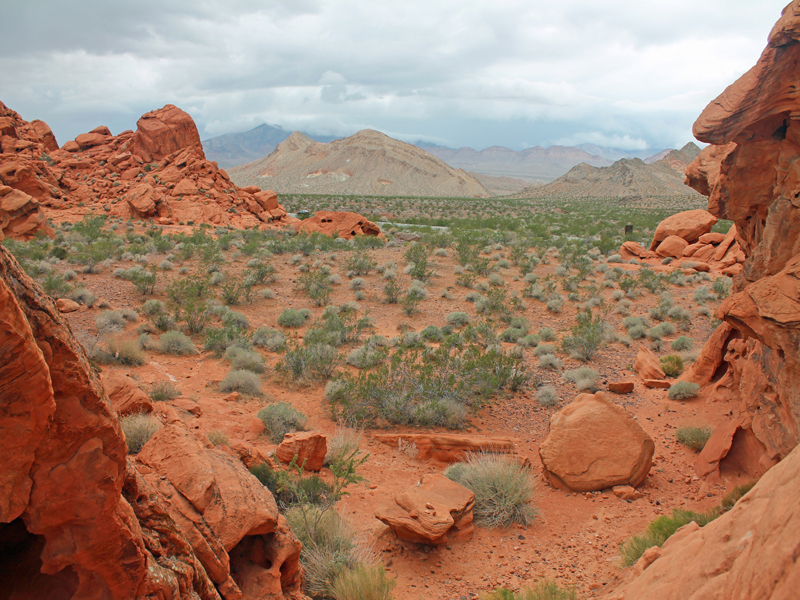 It's on my bucket list to visit Red Rock Canyon someday. 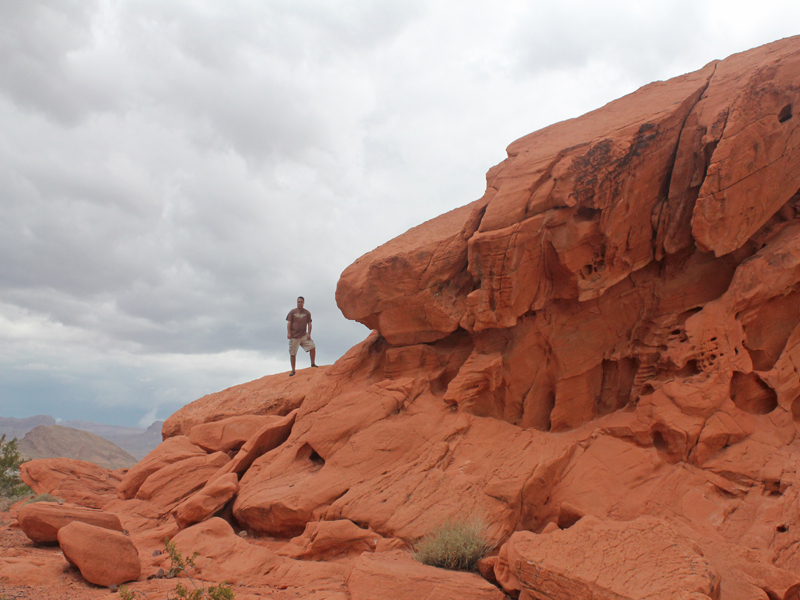 I have been to Red Rock Country before and it is absolutely gorgeous! Looks like you had an awesome drive! I need to get back there soon! With fall here I bet those colors look awesome with the fall colors! I don't think the trees change it colors on this size of Nevada. It is mostly hot in here since it a desert. 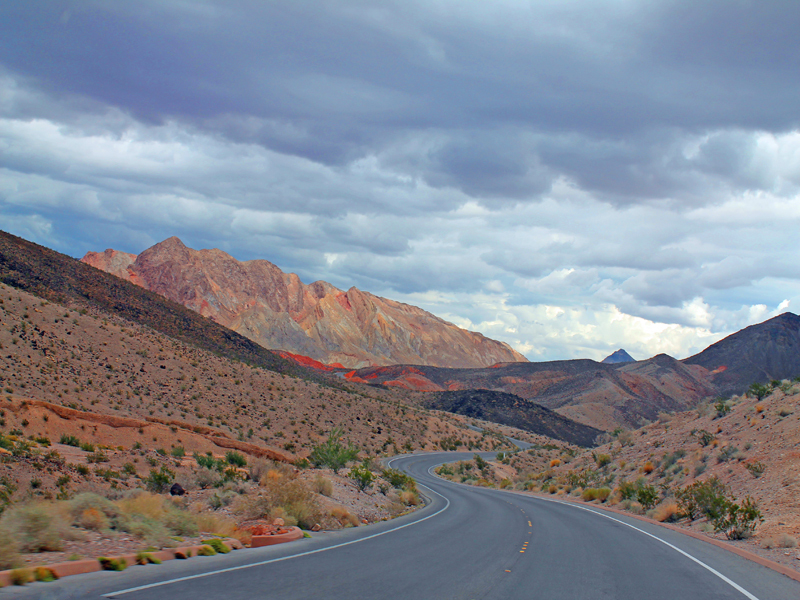 But surely its pretty out here, worth a drive from Vegas. Those pics look awesome. Such a cool place to visit. I think this would be an amazing place to explore or have some sort of retreat. It would be really peaceful and easy to focus. Can't help but be at awe when you're there since it's really breathtaking. It's worth the drive. Glad the weather was perfect when you went, the pictures are wonderful! Nice pictures and a great place for families to visit. Can't wait to visit.